I started working on giving FROREALDOE a makeover a few months ago. Let me tell you, it has not been easy. It has not been free. It hasn’t been immediate and it is STILL in the works. I have worked with a graphic designer designing a new logo, I have taken photos, I have been working with a web designer…I’ve been doing all of these things that (a good Google search will tell you) goes into building my personal brand. I have honestly been having fun through this stressful (good stress, but still) period. I am happy to be doing something I’ve always dreamed of doing but had not built up the courage to do it. I’m glad that I’m not letting doubt stop me, believe me, I’ve got doubts. But, my faith overrules the doubt. I know the plans God has for me are for good and not disaster (Jeremiah 29:11). I just wanted to drop in and let you know why my content has kind of been at a stand still on the blog. With working on my website on the backend, I’ve been afraid to post something new and have my site not be visible to my followers. Therefore, I have some things pending that I can’t wait to share once all of this work is wrapped up and the new site is live. I truly thank any and everyone who takes time to read what I have to say. You’re all THE MOST important part of what I’m doing…without you, my blog is merely a diary. You readers help carry out its purpose, I thank you! 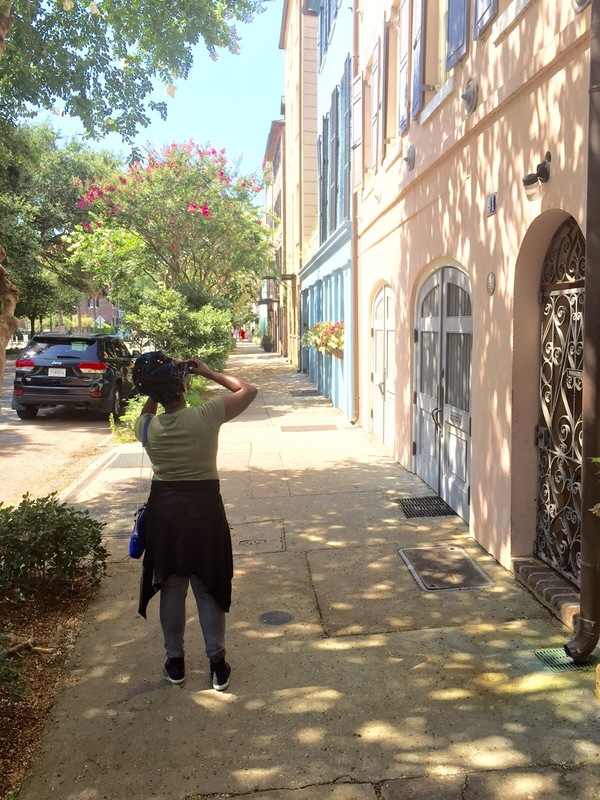 Snapping pics on Rainbow Row in Charleston, SC! My new website design – gone wrong.